In consideration of the services provided by Integrated Body Mind Therapy, Inc. d/b/a Maiberger Institute (hereinafter “MI”), and to participate in EMDR Training (“Training”), which includes but is not limited to consultations, on the date(s) and at the location(s) chosen and as scheduled on MI’s website, you (hereinafter “You/Your” or “Participant”) agree to the terms and conditions and eligibility requirements set forth herein in this Participant Agreement, including the RELEASE AND WAIVER OF LIABIILTY AND ARBITRATION PROVISIONS (“Agreement’). By clicking Your acceptance of these terms and conditions to participate in the Training on the registration page, You irrevocably agree that this Agreement automatically becomes a binding agreement between You and MI and that You have read, agree to, and accept all of the terms and conditions contained in this Agreement. Information such as location, dates, rates, discounts, times, etc. 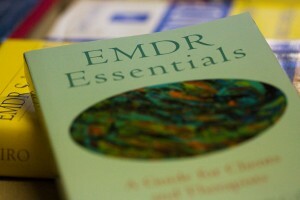 regarding Trainings can be found on the Registration Page of each EMDR Training package. Access to the Registration Pages can be found on the EMDR Events Calendar page on the MI website. All Participants must meet the minimum eligibility requirements detailed below for EMDR Training to participate. You explicitly agree and acknowledge that You meet the following eligibility requirements outlined below and will provide the required documentation to MI if necessary as determined in MI’s sole discretion. If You do not meet the eligibility requirements detailed in subsection (a) below, You may still qualify under subsection (b) with written acceptance from MI prior to registration and payment. If You are found to be ineligible after registration and payment is provided, Your seat and registration may be automatically cancelled due to ineligibility in MI’s sole discretion, and You will be refunded Your registration payment, minus a non-refundable and non-transferrable $350 Administrative Fee. i. You are in the United States and are fully licensed through Your state or government credentialing board in one of the following fields (and will provide proper documentation at prior to registration and payment if necessary): (i) Licensed Clinical Social Work (LCSW); (ii) Licensed Professional Counselor (LPC); (iii) Licensed Marriage Family Therapist (LMFT); (iv) Licensed Psychologist (LP); (v) Licensed Psychiatrist; or Licensed Psychiatric Nursing. ii. You must have already completed and received a Masters of Art Level (MA) or Masters of Science Level (MS) or Doctorate Level (PhD, PsyD) Graduate Program (examples MSW, MFT, PhD, PsyD) within the following mental health fields (and will provide proper documentation at registration if necessary): (i) Social Work, (ii) mental health counseling, (iii) Marriage Family Therapy, and (iv) Clinical Psychology. OR If You are a Licensed Psychiatrist and/or a Medical Doctor (M.D. ), then You must also be both of the following: (i) must have specialist training in Psychiatry and (ii) must be licensed through their state as a Licensed Psychiatrist. OR If You are a Licensed Psychiatric Nurse, and You must be both of the following: (i) must have completed a Masters Level Degree in Psychiatric Nursing, and (ii) must be currently licensed through Your state or government nursing board as a Licensed Psychiatric Nurse. If YOU qualify for participation pursuant to the above criteria, You may register for Training, and must provide the proper documentation reflecting you meet the eligibility requirements ready for review by MI prior to enrollment in the Training. If You do not qualify under this subsection (a), You may NOT register for any training unless you receive written consent from MI, as detailed below in subsection (b). (1) Graduate Students/Interns that have completed at least one year of clinical practicum/internship with an agency, clinic, hospital, or school; (2) State Registered Psychotherapist; (3) State Certified Counselors; (4) Degree/License in School Counseling, Art Therapy, Music Therapy, Christian/Pastoral/Community Counseling, Drug/Alcohol Counseling, Forensic Psychology; (5) Provisional/Associate/Temporary/Candidate Licensed therapist working towards full state licensure; (6) therapist working outside the United States; or (7) any other degree or license that You believe would qualify You for EMDR Training. iii. Depending on the information You provide, MI may request additional information, including, but not limited to a letter from Your supervisor. iv. MI has full discretion to determine Your eligibility and may accept or deny Your participation in the Training in its full and absolute discretion. v. You CANNOT register for Training until receiving written consent to participate from MI. a. You may cancel Your registration at any time for any reason. All requests for cancellation must be made by You in writing, and confirmed by MI in writing, and only through the email You used to register for the Training. b. If You cancel Your registration before the start date of a Training, or You are found to be ineligible in MI’s sole discretion, Your seat and registration will be cancelled, and Your payment will be refunded, minus a non-refundable and non-transferrable $350 Administrative Fee. If you are entitled to a refund, it can only be provided by the original means paid, and to the original payee. c. No refunds are provided when cancellation by You occurs on or after the start date of Training. d. MI may cancel Your participation in the Training at any time for breach of this Agreement (including the Code of Conduct), the terms herein, or any other misrepresentation or failure to comply with any terms included herein or on MI’s website with no refund. e. If the scheduled training is cancelled by MI due to no cause by You, You will be notified, and a full refund will be provided to You. f. Failure to Show Up. i. If You have not checked by start time of Training, You will be considered a “No Show,” and Your seat, registration and credits will be cancelled without refund. ii. If You cannot (or choose not to) complete the training in its entirety as scheduled, You will be considered a “No Show,” and Your seat, registration and credits will be cancelled without refund. g. MI is not liable for any damages or refund for any expenses, including travel or otherwise, due to any cancellations hereunder. Seats, registrations, payments, fees, credits, and hours cannot be transferred to other trainings, or to other persons after registration and payment is received by the Maiberger Institute. i. To conduct Yourself in a professional and ethical manner during the training. ii. To not record any training sessions by electronic devices (audio/video or otherwise). iii. To not hinder, obstruct, or otherwise impair MI’s instructions, leadership, or other participants. iv. To not be disruptive or difficult to work with. v. To not solicit other participants in the Training. vi. To help MI create a supportive environment during Training regardless of an individual’s sexual orientation, nationality, disability, gender identity, race, ethnicity, culture, or religion, and not to engage in discriminatory behavior at any time. b. MI reserves the right to request that You leave the training if You violate this Code of Conduct, or do not act in a professional or ethical manner, as determined in MI’s sole and absolute discretion, and Your registration in the training will be cancelled with no refunds. a. You agree and acknowledge that this is a professional Training, which includes practice sessions during the Training, and professional growth related to trauma healing. You also acknowledge that You have a choice about the level of participation at all times, and that although personal material or nervous system activation may arise for You within the context of the training, the Training is NOT therapy, and You are responsible for Your own well-being. If You feel the need for therapy arises, You are responsible for taking appropriate action to retain therapy outside of the Training. b. You acknowledge and agree that if during the Training, dreams, memories, flashbacks, or other feelings arise, it is Your responsibility to take appropriate action to deal with these occurrences, including asking the trainer for assistance. c. You agree and acknowledge that touch may be used as a part of the Training, but it will always be with Your permission, which may be withdrawn at any time and will never be of a sexual nature. If You have any concerns or issues arise during the Training, please immediately notify your trainer or consultant to address the issue. d. You agree and acknowledge that if You volunteer for a demonstration in front of the class, You have a choice about the level of Your participation at all times and can stop the demonstration at any time. You will take responsibility for picking appropriate material to process and the trainer has the right to stop the demonstration at any point for any reason. All client names and personally identifiably information disclosed by any participant in the Training as a part of the consultation process or consultation groups shall be kept confidential at all times, including after the Training has ended. However, MI cannot guarantee the confidentiality of any information disclosed by You before, during or after the Training. MI disclaims all liability and You agree to hold MI harmless and discharge MI of all liability for any claims related to disclosure of any of your personal information. If You have any medical conditions that would impact Your ability in any way to participate in the Training, it is Your responsibility to not participate in the Training, remove Yourself from the Training, or inform the trainer or MI before the Training begins. This includes, but is not limited to, pregnancy, heart conditions, emotional distress, ocular difficulties, or migraines. You understand and agree that Your attendance at the Training and participation in any activities offered is completely voluntary in nature and may involve some degree of risk and danger, depending on the type of activity and the amount of movement and training involved, including but not limited slips, trips, or falls during use of the facilities or in connection with the Training, or relying on other persons besides MI to assist You in any way during the Training. You certify that You are in good health and that You know of no physical, mental, health-related, or other reason why You would be incapable of participating in any activities during the Training. In full consideration of all risks and in full consideration of the fact that You are willingly and voluntarily participating in the Training, You hereby, for Yourself, Your heirs, executors, administrations, assigns, or personal representatives, knowingly and voluntarily WAIVE, RELEASE, REMISE, and DISCHARGE MI of any and all liability, claims, demands, actions or rights of action, or damages of any kind related to, arising from, or in any way connected with, the Training or Your participation in the Training, consultations, or any other MI-sponsored programs. Such waiver and release does not apply to MI’s willful misconduct or grossly negligent acts. To the extent any liability is found, MI’s aggregate liability for any claims will not exceed the amount paid by You to MI. This limitation of liability will apply to the maximum extent permitted by applicable laws and notwithstanding the failure of any limited remedy. In no event will MI have liability under this Agreement to You or any third party for any special, incidental, consequential, punitive or indirect damages of any kind based on any claim or legal theory, including but not limited to, lost profits, loss of use, or cost of substitute services. You, individually, and on behalf of Your respective heirs, successors, assigns, and personal representatives, agree to indemnify, defend, and hold harmless MI from and against any loss, damage, liability or cost(including all reasonable attorneys’ fees), including but not limited to bodily injury or property damage, whatsoever, that may occur as a result or arising out of Your presence or participation in the Training in any way or engaging in any MI sponsored event, activity, discussion, including but not limited to engaging on MI’s website. This Agreement is made in and will be governed by and construed in accordance with the laws of the State of Colorado, without reference to principles of conflict of laws or choice of laws. a. Mediation. In the event of any controversy or claim arising out of or relating to this Agreement, or a breach thereof, or any participation in any MI events or programs, or any services provided by MI, the parties hereto shall first attempt to settle the dispute by mediation, administered by the American Arbitration Association under its Mediation Rules. b. Arbitration. If settlement is not reached within sixty days after service of a written demand for mediation, any unresolved controversy or claim shall be settled by arbitration administered by the American Arbitration Association under its Commercial Arbitration Rules. The number of arbitrators shall be one. The place of arbitration shall be Boulder, Colorado. Colorado law shall apply. Judgment on the award rendered by the arbitrator(s) may be entered in any court having jurisdiction thereof. The provisions of this Agreement are intended to be severable. If, for any reason, any provision of this Agreement is held invalid or unenforceable in whole or in part in any jurisdiction, such provision, as to such jurisdiction, will be ineffective to the extent of such invalidity or unenforceability without in any manner affecting the validity or enforceability thereof in any other jurisdiction or the remaining provisions hereof in any jurisdiction. The parties will replace the invalid or unenforceable provision by a provision that, to the extent permitted by applicable law, achieves the purposes intended under the original provision. Participation in Training is personal to You and is only available to persons over the age of 18. Participation in the Training cannot be used by anyone apart from the You, and may not be assigned. MI may assign this Agreement without Your consent. The failure of any party at any time to require performance by the other of this Agreement will in no way affect that party’s right to enforce such provision, nor will the waiver by either party of any breach of any provision of this Agreement be taken or held to be a waiver of any further breach of the same provision or any other provision. This Agreement constitutes the entire understanding between the Parties with respect to all matters contained in this Agreement, and supersedes all oral or written agreements or understandings between the parties on the matters contained in this Agreement. No modification, addition, waiver or cancellation of any provision of this Agreement will be valid except by a writing signed by both parties.